"Far over the misty mountains cold, to dungeons deep and caverns old…" New Zealand is going Hobbit crazy! Which makes sense because it's probably the biggest pop culture property they're recognized for now, but fine with me. I've always wanted to visit and hope to one day make it down there. 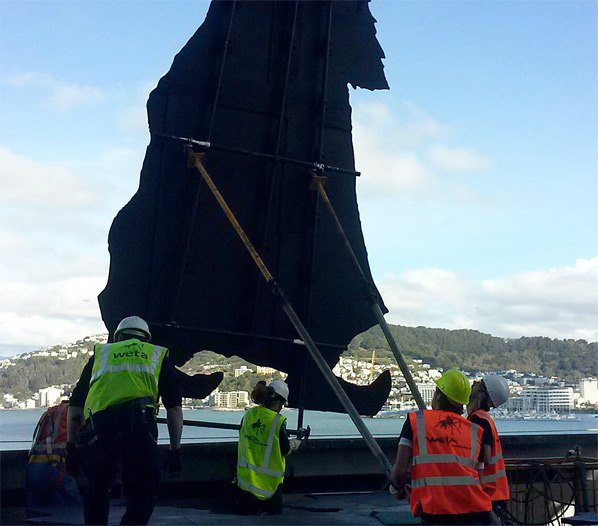 Last week we posted that rather awesome (and maybe creepy) gigantic Gollum installation at the Wellington airport. Weta has been hard at work on a few other phyiscal installations, and just finished putting up "thirteen of the world’s tallest Dwarves – plus a distinctly larger-than-life Hobbit." 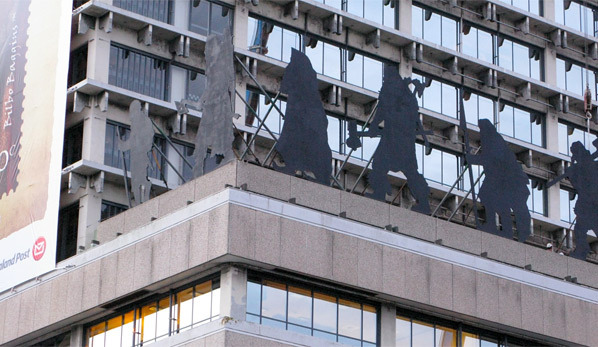 On display at the New Zealand Post office building (map), together they form the company of dwarves marching in line with Bilbo. Pretty damn cool. 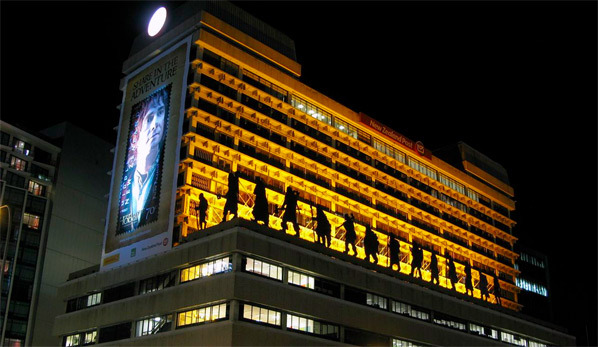 The building is located in Wellington, NZ and includes a display of 14 silhouettes, each one roughly 20' tall. It will remain in place until early 2013 if you want to see it. Here are some photos courtesy of WetaNZ.com. After watching this Air New Zealand video, you can visit their Hobbit site to enter and win a trip to NZ.